As Vice President Chief Strategy Officer, Gloria is responsible for leading strategic initiatives in collaboration with the Executive Team. She oversees operations at the Hospice of Michigan Institute, which serves as the hub for education, training, research and innovation for the organization. She is also responsible for the Anchors Programs for Children, which provides pediatric perinatal care, palliative services, pediatric hospice, and family support services throughout the communities that HOM serves. Gloria oversees HOM’s Counseling Services, which encompass Social Work, Spiritual Care and Grief Support, as well as Volunteer Services for Hospice of Michigan. In addition, Gloria continues in her role as President of Arbor Hospice and Arbor Hospice Foundation. She represents Arbor Hospice and its Foundation in the Washtenaw County community. In this role, she co-chairs the Washtenaw Health Initiative’s Advanced Care Planning Task Force and is a member of the Arbor Hospice Foundation Campaign Cabinet. Gloria earned a Masters of Public Administration Degree from Oakland University, Michigan, and a Bachelor of Science in Art Therapy degree from the University of Evansville, Indiana. Gloria has been an active member of Inforum since 2005 and serves as co-chair of the HealthcareNEXT industry group. She also represents Inforum at the MedHealth Innovation Cluster, a project of TechTown in Detroit. She is a member of the MedHealth Innovation Committee, the Washtenaw Health Initiative Steering Committee and co-chair of the WHI Advanced Care Planning Committee. Gloria has been a member of the Rotary Club of Ann Arbor since 2008. She received a 2011 Champion of the New Economy Award from dBusiness Magazine, WJR, and Junior Achievement of Southeast Michigan for her achievements in the business turnaround at Arbor Hospice. Gloria was named the 2012 Educator of the Year by the Hospice & Palliative Care Association of Michigan, recognizing her proven performance as an advocate and educator in hospice and palliative care. She was the Chair of the Hospice & Palliative Care Association of Michigan for 2013-2014 and was a member of the board of directors from 2008-2014. 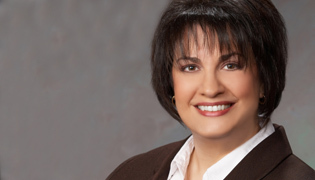 Gloria was named 2008 Distinguished Alumna from Marian High School in Bloomfield Hills, Michigan, and later served on its Board of Directors from 2009-2014. Gloria was chair of the 2008 & 2009 Power of the Purse Women’s Initiative campaign for the United Way of Washtenaw County. Gloria and her husband, Michael, reside in Ann Arbor, Michigan.